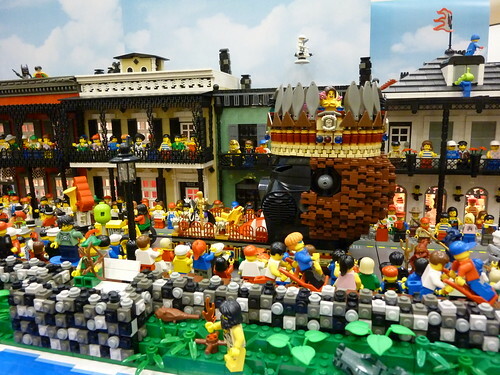 Brick Town Talk: Mardi Gras Madness! - LEGO Town, Architecture, Building Tips, Inspiration Ideas, and more! Mardi Gras Madness! KIng of the Night Time World, originally uploaded by Brickbaron. A new realm of building. I'm really loving those porches and rock wall.